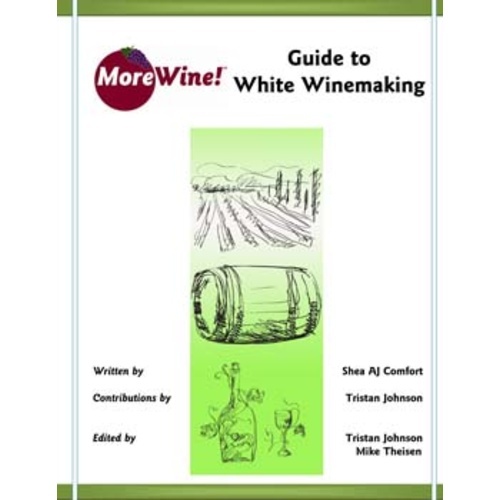 This is the ideal instructional text for first-time winemakers. Use it as your detailed guide this year to make high end white wine at home. Based on years of in-house research, hands-on winemaking and customer feedback, this booklet outlines our Best Practices and gives you the best shot at making great wine right in your home. Laid out in a direct and step-by-step fashion, this handy manual will be sure to stay by your side in your home winery for years to come. This is the same booklet that is available as a free .PDF download from the MoreManuals section of our website, in a nice spiral-bound package with heavy-duty pages made from a smudge-resistant paper. This is general and basic information that the typical beginning wine maker will likely already have. The technical information lacks depth and, for me, failed to provide sufficient details to actually allow me to broaden my skills. I wanted a reference guide that I could return too for Q&A but find this to be just another book in my wine making collection, likely not to be referenced again.